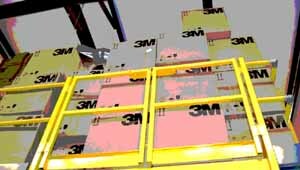 NPI is an Authorized Distributor of 3M Tape & Reel Products offering the widest selection of off-the-shelf 3M Carrier and Cover Tape inventory in North America. We stock high quality polycarbonate and polystyrene carrier manufactured to NPI specifications by S.E.T. We offer hundreds of other stocked carrier tapes from domestic and international manufacturers by the roll or by the meter, from stock, no tooling or waiting. Using our key fast turn Asian tape shop, we'll develop a pocket specific to your component shape and dimesions.